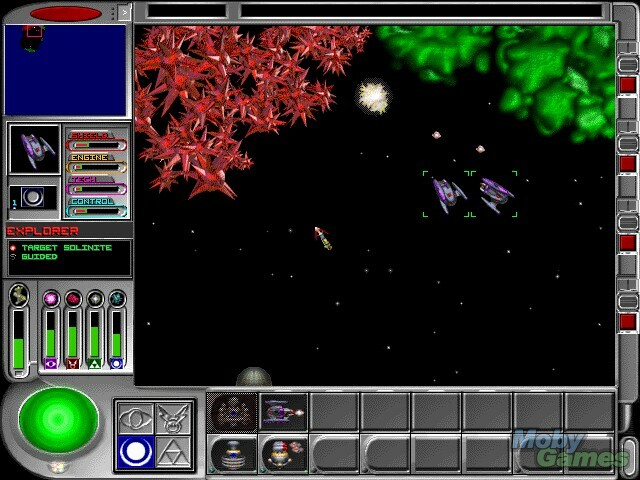 The graphics in GT Interactive's Star Command Revolution - colorful SVGA terrain, battlestations, and artillery units look very similar to StarCraft. But looks aren't everything in GT's epic saga. 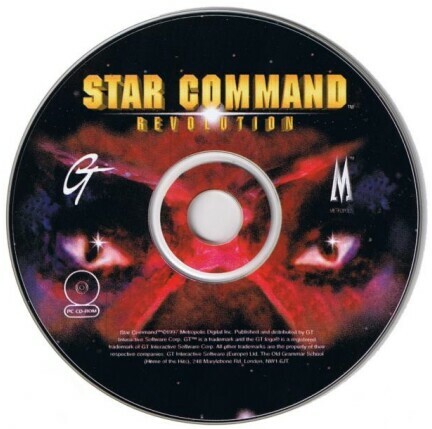 In Star Command Revolution, you're given the option to take the side of the Terrans, Computrons, Nomads, or Triumverites, four races who are involved in a bidding war for available resources. Five types of resources can be accumulated: Four of these are particular to an individual race and the fifth, Solinite, can be spent by any race. Each race begins with a mothership, a moveable base that gathers all raw materials and allows you to produce buildings. If the mothership perishes, the game's over. Don't lose the mothership. Like WarCraft, you construct armories that allow you to build units such as ships, droids, and stationary battle machinery. A notable difference here is your ability to construct a war college. Place your units next to these "universities," and they receive level-ups, increasing units' abilities such in speed, firing frequency, and such. The mothership may also receive a similar education. When the mothership is placed adjacent to the university, it starts to "learn" the technology of another race.. The acquisition of technologies follows a circular hierarchy; each race learns extra-racial technologies sequentially. It becomes advantageous to gain the other cultures' know-how, both because you may end up with an overabundance of resources that only a particular race can spend and because a race may have a unique technology that needs to be implemented at an appropriate time. There are points during a campaign where your fleet might consist of three different races. 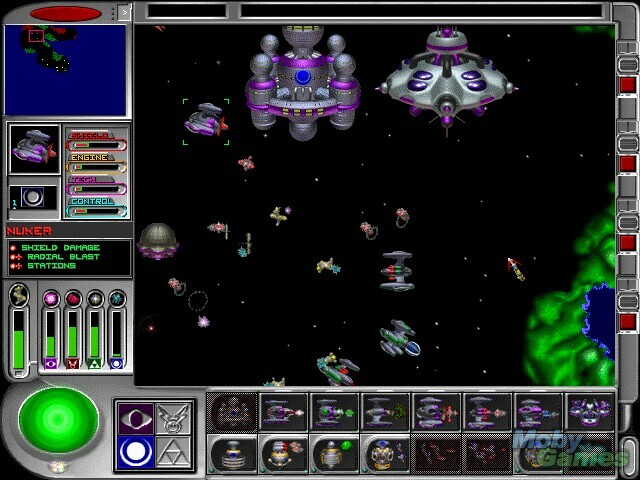 Star Command: Revolution, with its four distinct races and sixty-four separate units has plenty of complexity woven into its gameplay. Add in the ability to upgrade troops seven levels, acquire technologies, and warp forward and backward through missions and the game will keep you absorbed for hours on end.